Make this your first stop in Kununurra. Find out what to do around town and the area. The staff at the Tourist Bureau know what's going on and when. They can book tours and accommodation, plus Greyhound tickets. These natural sandstone formations resemble an ancient city, and provide an interesting walk. Take the signpost to the right from Weaber Plain Road. The crossing is a concrete causeway over the Ord River, north of Kununurra, originally part of the main road through to Wyndham. Since the start of the Ord irrigation project in the 1960's, the river now flows all year round, making the crossing impassable during the "Wet season" when the river level is higher. It is a popular spot for barramundi fishing and picnicking. Swimming and standing on the crossing to fish is not recommended due to the presence of salt water crocodiles. Great place to watch a glorious sunset and finish a day of looking around the town. Sealed road to the top with a short walk to look over the town of Kununurra, the Ord irrigation area, Lake Kununurra and the Sleeping Buddha. Designed to divert and regulate the flow of water from the Ord River into the Ord Irrigation area. The dam consists of 20 radial gates mounted within a concrete framework and spillway structure. The water is gravity fed into channels to service the area to the north of the town and is pumped into the Packsaddle Plains area to the south. The dam also forms part of the Victoria Highway. 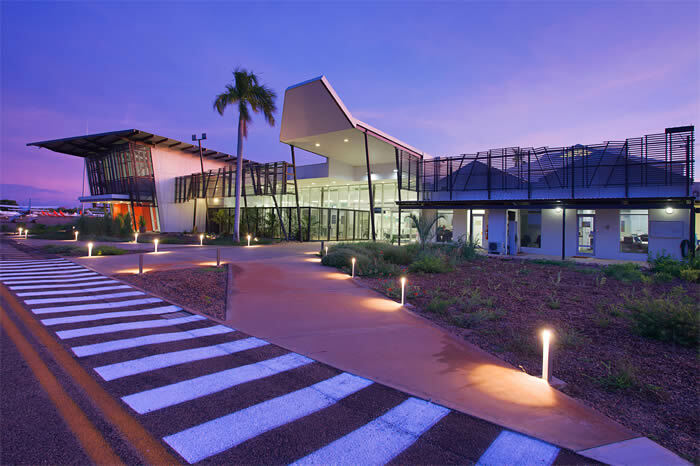 During Kununurra's short history, the Ord Irrigation scheme has attracted world wide attention bringing a wide range of celebrities through town. The park was opened in 1984 and celebrities such as John Farnham, HRH Princess Anne, Rolf Harris and Harry Butler have all planted trees here. Lily Creek Lagoon filled after the completion of the Diversion Dam. The old Darwin road once ran through the lagoon disappearing at what now is the central boat ramp for the town. For anyone interested in bird watching, there is a large variety of birds to be seen around the water's edge. The walk trail was developed by the Kununurra Historical Society (Inc) to provide an historical overview of the town and give visitors an opportunity to view the local bird life. The booklet describing the trail can be purchased from the Kununurra Tourist Bureau. The Museum is situated in Coolibah Drive across from the Picture Gardens complex. The museum is a must for anyone interested in the area's colourful beginnings with many artifacts and photos on display. Have a night out at Kununurra's open air movie theatre in Coolibah Drive during the dry season. Drive in or walk in - it's up to you. Enjoy a night under the stars reliving your old Drive-In days or finding out what they were all about. Large rock formation on the edge of town, officially known as Carlton Ridge but nicknamed locally with the above names. To look at it as Sleeping Buddha from the side, the best view is from Celebrity Tree Park in town. Looking at it from one end it resembles an elephant's head and this can be seen from Packsaddle Road or by travelling on the upper Ord River towards Lake Argyle. During the wet season after heavy rains, these areas show off their brilliant waterfalls making for excellent swimming and picnic spots. Access is by 4WD, taking the turn off about 10km out of Kununurra, on the highway to Wyndham. Caution if creeks are flowing after rain. This road may be closed during the wet season.